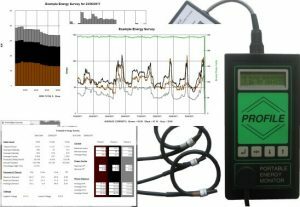 Why should I be monitoring my energy use? 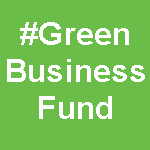 All reductions in the use of energy and other resources will improve your company profitability £ for £, but before embarking on steps to change practices and cut waste it is essential that precise information confirming how and when energy is used is collected. Monitoring energy and other resource use provides information that enables a user to cut operational costs through improved knowledge and analysis of how a site or company uses electricity, gas, water and other resources. How can I monitor my energy use? First of all meters for the resource(s) of concern need to be installed. 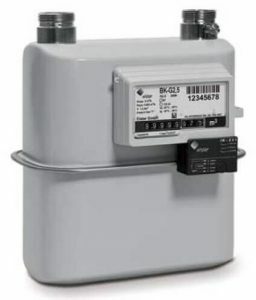 All utility meters are now available with a pulse output and sometimes additional data communication facilities such as Modbus, Ethernet communication and radio/GSM modems. Unlike when tenant billing is required, for electricity submetering, it is not necessary to use OFGEM/MID approved meters as lower cost class 1 meters are readily available and equally accurate. These meters may have a simple consumption display or may provide more comprehensive information to the user. To physically read the meter, and manually collate and analyse the information is far from efficient and not guaranteed to be sufficiently accurate to gain full benefit. This method will also not bring the power of precisely defined, period by period (e.g. 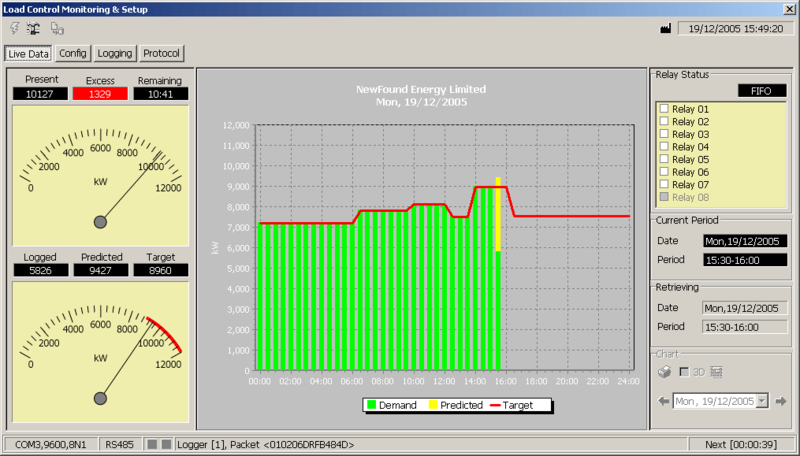 half or quarter hourly) usage information that would be available from an automatic monitoring system. 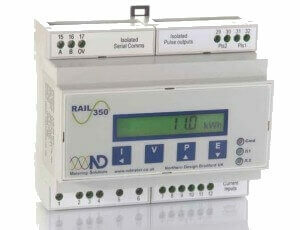 It is also essential that meters are installed in the most appropriate and useful locations. To determine these locations requires considered analysis. The intended uses of the gathered information must be considered to gain the maximum benefit from the efforts applied. 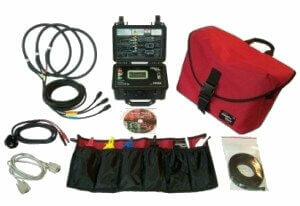 For example, it may not be cost or time effective to submeter on every individual item of plant. 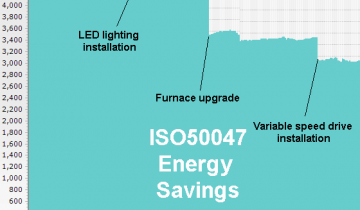 Starting with a small number of known large energy users can reduce initial installation costs but still highlight immediate 'low hanging fruit' efficiency improvements, and provide pointers as to where to look next. 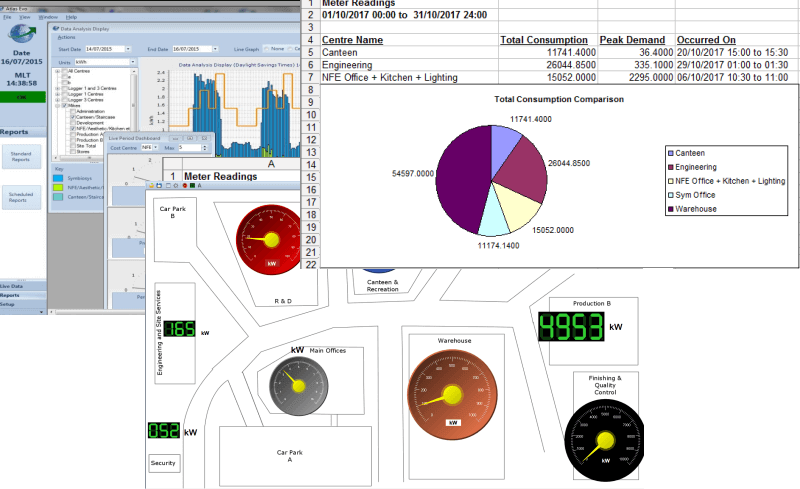 Where should I monitor energy use? 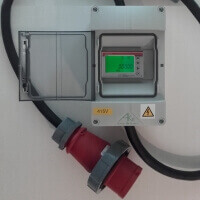 If electricity alone is the initial concern, and it is not certain precisely which areas should be monitored, the use of a temporary portable electricity meter will provide a valuable insight into the pattern and level of use of the circuit monitored. 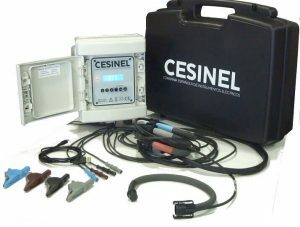 With this kind of equipment it is also sometimes possible to obtain information relating to the state of the electricity network where problems such as harmonics can be identified. 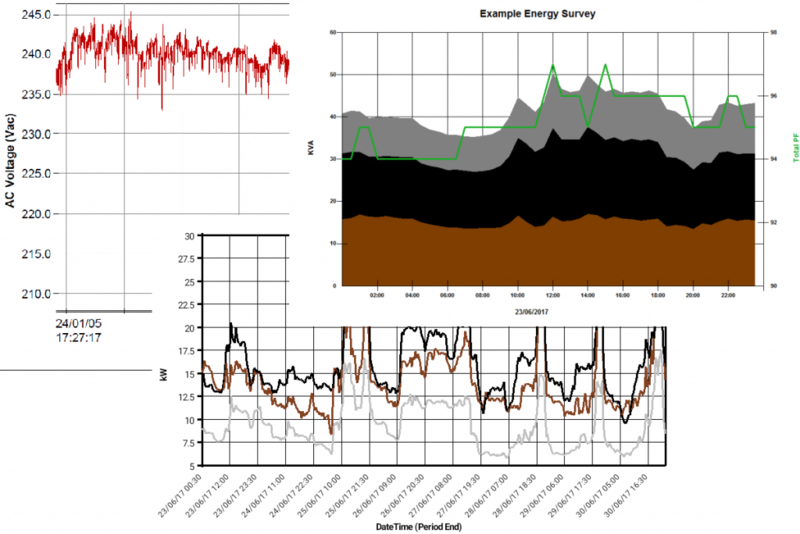 The data collected during the energy survey can be analysed using software usually supplied with the system. Areas where action will bring an improvement in energy use and remove waste, bad practices, or potential overload or phase imbalance problems can then be identified. Using the survey information, the best locations for permanent meter installation can also be determined as a forerunner to installing an automatic energy monitoring and/or control system. 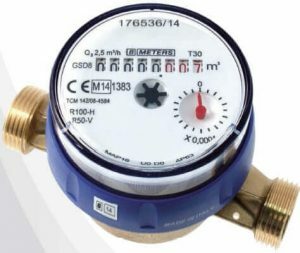 Non-invasive, temporary, portable water meters are also available. Unfortunately it is not as easy with gas, compressed air, and other resources such as fuel oil, where to measure use flow it is necessary to cut into the pipe line. After initial surveys, the path to follow depends on the site requirements and how the measured usage information is to be collected from the meters. 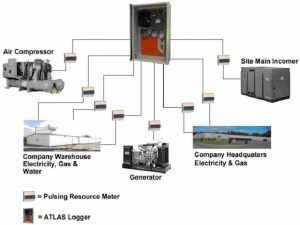 Historically the use of pulsing meters with loggers has, and can continue to be, the backbone of data collection. With site-wide and multi-site network systems this approach can easily cover many locations without the need to use radio or wireless technologies. When necessary, wireless technology can be utilised but it should not always be the first route to be considered. 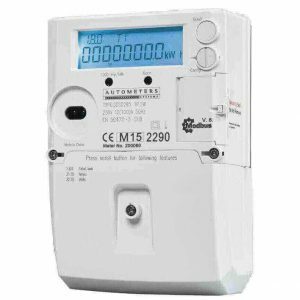 Some electricity meters are now available that provide more than just energy usage information. These meters can also give information on current, voltages, peak values on various parameters, and in some cases harmonics data. 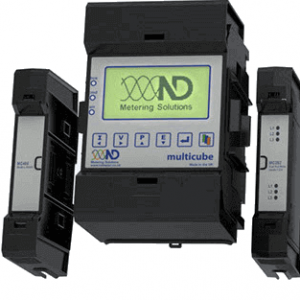 The meters tend to have, as an option if not as standard, Modbus or other forms of communication including network connectivity. 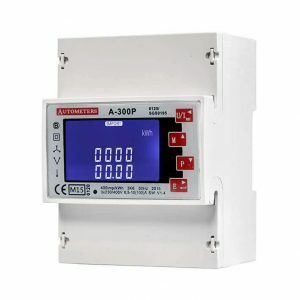 These meters are individually more expensive than the standard kWh meter with a pulse output. They can, however, in some instances, form the basis of a complete energy monitoring system with widespread metering point locations that may prove no more expensive than a system based on the use of data loggers. Meters are often supplied without software so that the user(s) musr create their own data collection & reporting capability. Others meter providers supply software that includes all the facilities of an effective energy monitoring system. 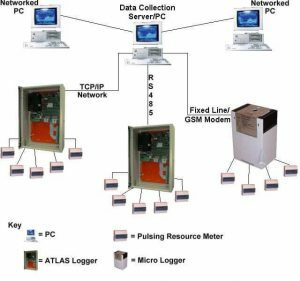 From any energy monitoring system, the data collected should be readily available to any interested party on the site that has access to a networked PC. This is equally relevant to ‘in-house’ systems and hosted packages. Most ‘in-house’ systems will also have the advantage of a ‘real-time’ element that will assist in live efforts to control usage. Any system with frequently collected data will show the success or otherwise of improved practices and decisions made by line managers in their efforts to operate more efficiently. Visual and audible alarms will assist in energy control actions and, if required, systems are available that can be packaged to include fully automatic control of loads to prevent excessive energy use on a period demand or present load basis. 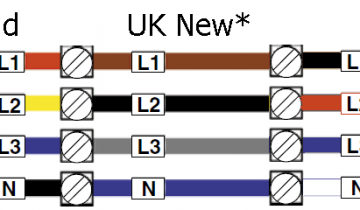 This can help protect against excess tariff charges and circuit overload failures where usage levels can exceed the stated supply capacity. Reporting facilities can be used to provide precise information on levels and patterns of use. Reports should also be able to provide analysis of costs attributable to metered areas such as product production runs, even when very complex electricity tariffs are involved. Routine report production can often be automated with reports saved for or ‘sent’ to the relevant recipients at pre-determined intervals. Many aM&T systems can interface with other software packages including DCS packages and production monitoring used by large energy users. So in addition to enabling wider control of energy use, using an energy monitoring system ‘spreads the word’ around the company to assist in promoting better energy management by all the personnel on site. Furthermore those ‘too busy’ to manage their daily energy use by analysing usage against production, can opt for hosted systems where pre-determined report/analysis results are made available on the internet via a secure web-site. In other words there is the system out there for everyone. Can you afford not to find your system? Remember, every wasted kWh of energy, or litre of water is part of those £ that should be in the profit line of your company. Systems and software screenshots featured in this document include ATLAS energy monitoring systems, the Profile portable energy recorder, the Medcal ST power quality analyser plus other electricity and utility meters all available from NewFound Energy Ltd.
Photographs re-produced with the permission of Autometers Systems Ltd, Cesinel SL, Switch 2 Ltd, ND Metering Solutions, NewFound Energy Ltd, Outram Research Ltd.